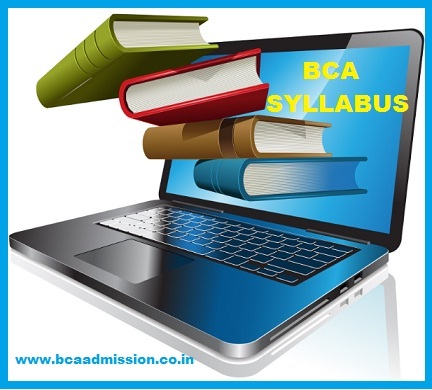 Disclaimer – This is just a Tentative BCA Syllabus used for promoting and just highlighting the BCA Syllabus for BCAAdmission.co.in and Not for educational Use for Students. the award of the degree a student shall be required to earn the minimum of 150 credits. 2.Balagurusamy E, Computing Fundamentals and C Programming, Tata McGraw Hill. 7.Chhillar, Rajender Singh: Application of IT to Business, Ramesh Publishers, Jaipur. 10.H.K. Dass, “Advanced Engineering Mathematics”, S. Chand & Company, 9thRevisedEdition, 2001. 12Raymond Murphy, “Essential English Grammar-A self studyreference and practice book for elementary students of English” Cambridge University Press, second edition. 17.Yashwant Kanetkar, “Let us C” eighth edition, 2002. 21.B.Ram Computer fundamentals Architecture and Organization,New Age Intl. 22.Alex Leon & Mathews Leon, “Introduction to Computers”, Vikas Publishing. Note:Latest and additional good books may be suggested and added from time to time.